Worth a punt for a pound. 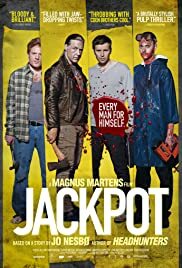 Based on a story by renowned crime writer Jo Nesbø, Jackpot stars Kyrre Hellum as Oscar, who awakes clutching a shotgun on the floor of a strip joint strewn with dead bodies and swarming with police officers. 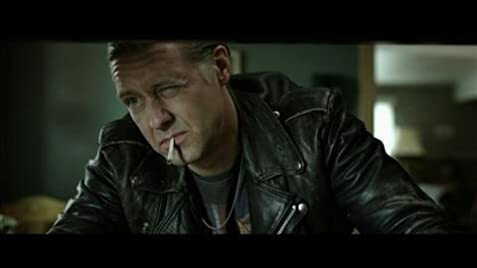 Taken for questioning by hard-nosed cop Solør (Henrik Mestad), Oscar recounts the unlikely events leading up to this point, starting with him winning a share of a 1.7m krone prize in a betting pool. But is Oscar telling the truth or spinning a wild yarn? This was a blind buy from Poundland, and while I wouldn't exactly say that I hit the jackpot with my gamble, I don't regret spending my hard-earned cash on the DVD (all £1 of it!). Director Magnus Martens handles the darkly humorous tale of crime, treachery and murder with confidence, his cast put in solid performances, and there is plenty of grisly violence to keep fans of gritty crime capers satisfied for the duration. Where the film falls down slightly is in its narrative, which, despite plenty of twists and turns, isn't quite as clever or as deranged as it is clearly intended to be—certainly not on a par with the absurdist work of The Coen Brothers, as the DVD cover states.